Getting young girls to feel comfortable with their hair can be difficult sometimes. Some of you asked us if we could make a t-shirt to help address this. 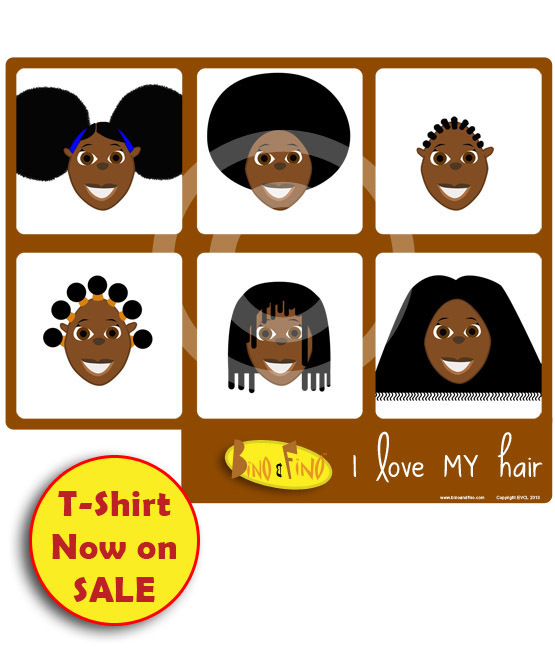 So we came up with this I love my hair t-shirt. Posted on February 21, 2013 by Adamu Waziri and filed under Fun Stuff and tagged Bino and Fino Goodies.